Conducting an engaging video interview that captures the attention of your audience takes more than simply asking a series of yes and no questions. Learn details that lead to conducting an interview that stands out as genuine and memorable. Everyone should get comfortable before the camera starts rolling. To loosen up, we often start by asking conversational questions unrelated to the shoot, which is a quick way to build a rapport with everyone involved. Establishing even a little familiarity with each other can go a long way in creating a comfortable, relaxed atmosphere for the shoot. We always educate ourselves extensively regarding interview subjects. We want to know more about the subject than the audience, so we can show the subject in a fresh and engaging light. Having a deep understanding of the subject also allows us to react knowledgeably and lead the interview in unplanned directions, capitalizing on the moment to discovering unique angles on each topic. Whether conducting a video interview for your latest documentary or a product testimonial, genuineness is key to conveying the message you want your audience to receive. We make interviews conversational by asking open-ended questions and natural follow-up questions. And we follow up extensively, asking the same questions a few different ways to solicit a variety of answers on the same subject, or to get elaboration and detail following a key sound byte. We don’t want our subjects to regurgitate talking points; we want them to tell stories. To drive this point home with an anecdote, we’ve heard that Amazon’s Jeff Bezos doesn’t allow Power Point presentations, but makes his employees tell stories to sell their ideas. For our purposes, there’s no such thing as being too long-winded—that’s the power of editing! You might even find a better story you didn’t know was there. Opinions vary on whether to reveal specific interview questions in advance. If you provide questions to the interviewee in advance, you run the risk of the individual stumbling on camera, trying to remember memorized answers. It can also detract from the spontaneity of the interview. When providing questions in advance, we discuss them with the interviewee ahead of time to establish the desired tone and predict potential trouble spots. Remember that exceptional listening skills and not interrupting are outstanding tools in video interviewing, and listening longer helps the interviewee feel comfortable and drive the conversation naturally. When an interviewee is speaking genuinely, we like to “let it breathe” and draw that out that moment. We can always go back and ask for more detail, or provide direction, on a particular point. You lessen the chances of distractions and mishaps occurring during your video interviews when you prep well. We test all our audio, lighting and other equipment regularly, and always have backups just in case. And when possible, we do a walk-through of the location in advance to minimize the unexpected. 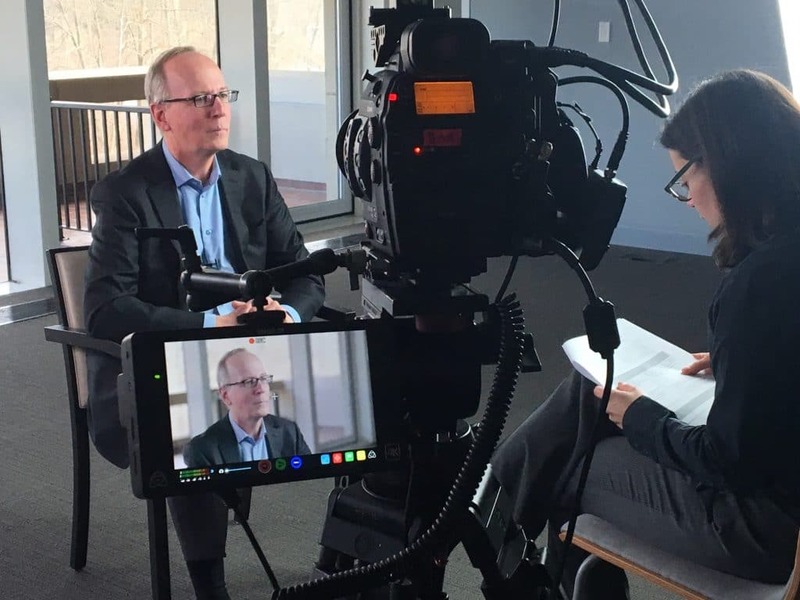 Producing engaging video interviews requires creative visual storytelling; an understanding of the elements that captivate and impresses audiences. Docu-style interviews, testimonials and other video interview productions do not hold the attention of the audience if the video interview sounds and looks contrived. Hiring an expert makes all the difference. At ASL Productions, we put a lot of effort into producing polished video interviews that actually engage their intended audience. If an interview isn’t compelling, it’s pointless. So if you have an interview-based video project coming up, call us today – we guarantee that you’ll love your content!